Michael C. Hall is set to return to the big screen this summer in new thriller 'Cold In July'. He plays Richard Dane, a family man living in suburban Texas in 1989 who one night shoots and kills a burglar that's broken into his home, only to find himself targeted by the dead man's estranged father Ben, played by the inimitable Sam Shepard, who wants revenge. 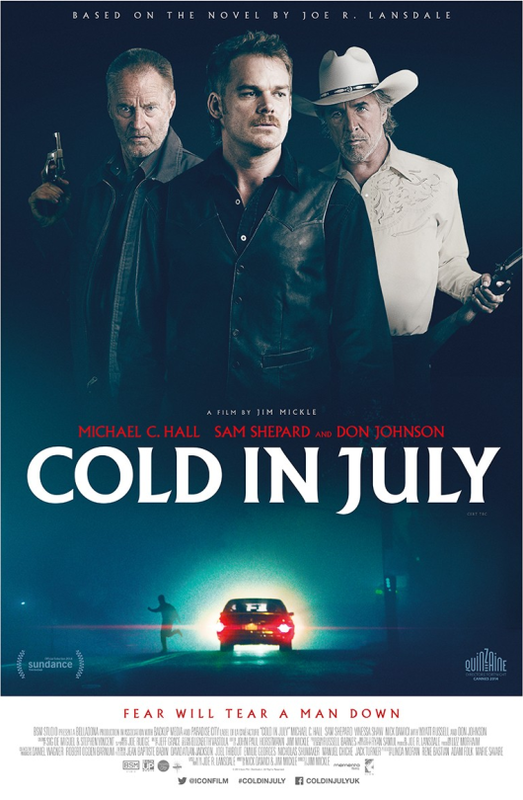 Cold In July is released 27th June. Above you can see an all-new official poster for the film. Hit the play button below to watch a short sneak peek clip from the film via comingsoon.net.